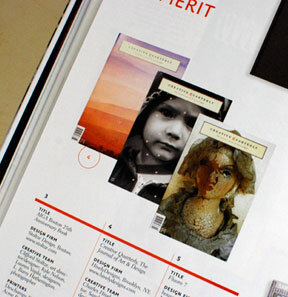 Creative Quarterly has been included in HOW’s International Design Awards 2011. 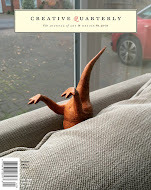 We’re pleased for this accolade and wish to thank everyone who has participated in CQ, especially Bradley Phillips (Issue 17 Cover), Peter Galante (Issue 18 Cover) and Vlad Alvarez (Issue 19 Cover). 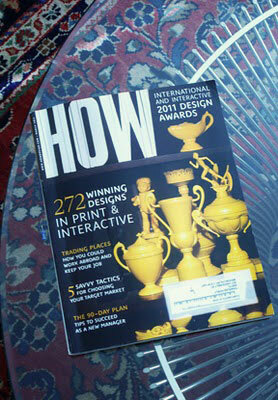 In addition our sister publications 3x3 Magazine, 3x3 Illustration Annual and 3x3 Directory were also honored as well. There were only 272 winners this year. This year’s judges included Clinti Runge, co-founder and creative director of Archrival whose clients include Red Bull, State Farm, Foursquare and Pabst Brewing; Richard Westendorf, executive creative director of Landor Associates who works on Kraft Foods, KFC, Wrigley and Procter & Gamble and Michael Osborne, president and creative director of Michael Osborne Design that works on the San Francisco Museum of Modern Art, Cooper-Hewitt National Design Museum and the Smithsonian.